You can change lives. You can help break the poverty cycle. You are wanted and needed by students at Kenmore-Garfield High School! In mid-November, Tom and Daralee Ghinder, founders of Akron Promise, set up a table outside the KGHS cafeteria. They had one simple sign that read, “After high school… got plans?” Students were asked about their plans after they left KGHS and if they’d like to sign up to have a mentor to coach them to their goals. Fifty-six students signed up and twenty-five have returned the required permission slips. The number was a pleasant surprise and more mentors are needed right away. on their backgrounds, interests and job choices. Mentors will meet with their students at a mutually convenient time, in or out of school. 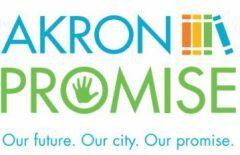 Akron Promise is working to shape a community-involved culture of education in Akron. We’re working to give students and families access appropriate supports, resources and opportunities. For more information, or to sign up, please call Tom Ghinder at 330-329-4855, email at tghinder@gmail.com, or go to http://bit.ly/AkronPromiseKGSA. Previous Previous post: Akron Promise Announces Kenmore-Garfield Stark State College Scholarship! Next Next post: Akron Promise Announces Scholarship fundraisers!